‘He really stood out to us as someone who has changed the tone and the perception and the focus of one of the world’s largest institutions in an extraordinary way,’ says the magazine’s managing editor. 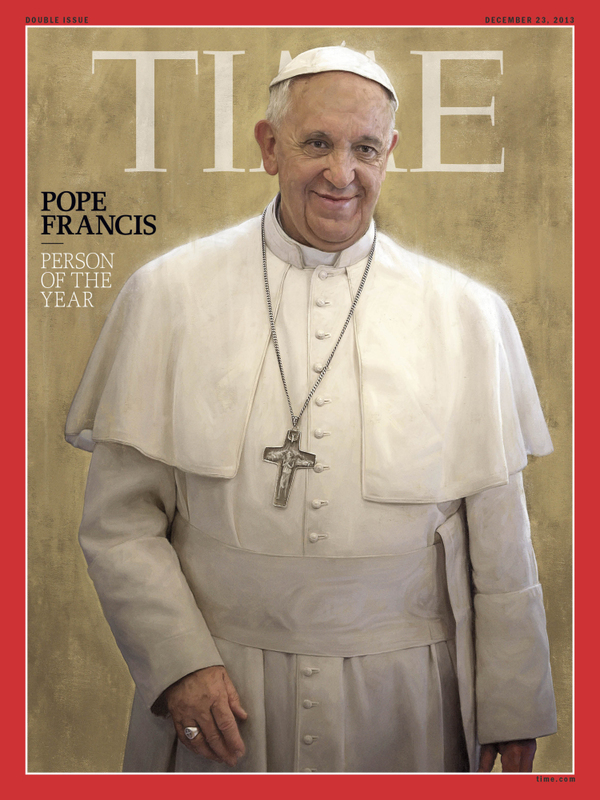 NEW YORK — Time magazine selected Pope Francis as its Person of the Year on Wednesday, saying the Catholic Church’s new leader has changed the perception of the 2,000-year-old institution in an extraordinary way in a short time. The pope beat out NSA leaker Edward Snowden for the distinction, which the newsmagazine has been giving each year since 1927. The former Argentine Cardinal Jorge Mario Bergoglio was elected in March as the first pope from Latin America and the first Jesuit. Since taking over at the Vatican, he has urged the Catholic Church not to be obsessed with “small-minded rules” and to emphasize compassion over condemnation in dealing with touchy topics like abortion, gays and contraception. He has denounced the world’s “idolatry of money” and the “global scandal” that nearly 1 billion people today go hungry, and has charmed the masses with his simple style and wry sense of humor. His appearances draw tens of thousands of people and his @Pontifex Twitter account recently topped 10 million followers. “He really stood out to us as someone who has changed the tone and the perception and the focus of one of the world’s largest institutions in an extraordinary way,” said Nancy Gibbs, the magazine’s managing editor. 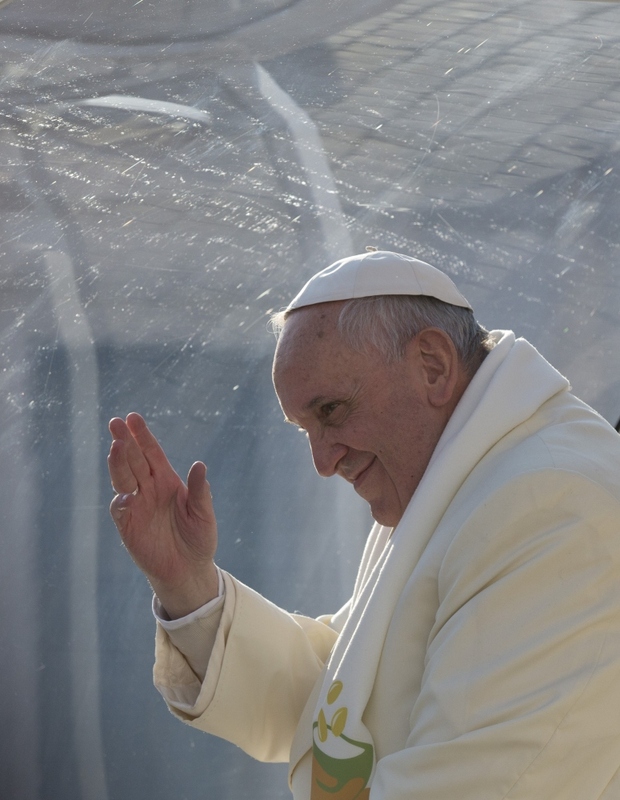 The Vatican said the honor wasn’t surprising given the resonance in the general public that Francis has had, but it nevertheless said the choice was a “positive” recognition of spiritual values in the international media. It was the third time a Catholic pope had been Time’s selection. John Paul II was selected in 1994 and John XXIII was chosen in 1962. In Argentina on Wednesday, Padre Toto, one of the many “slum priests” the pope supported for years as archbishop of Buenos Aires, praised Time magazine’s selection. President Barack Obama was Time’s selection for 2012. Time editors make the selection. The magazine polled readers for their choice, and the winner was Egyptian General Abdel-Fattah el-Sissi, who didn’t even make the top 10 of Time’s final list.